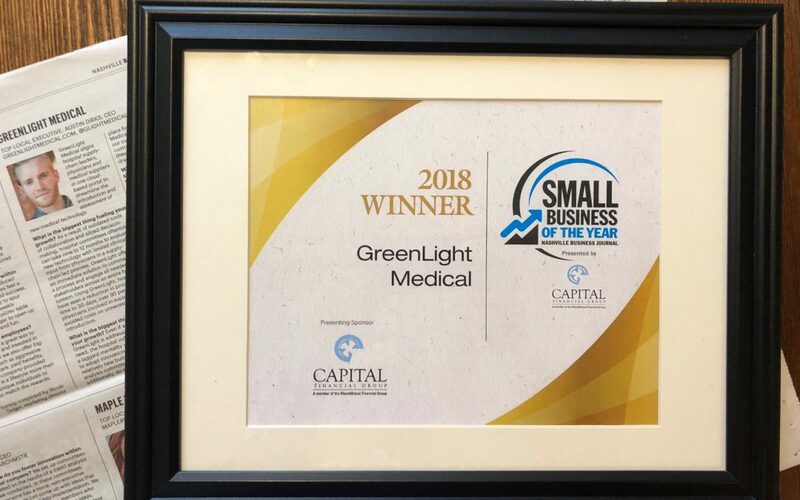 GreenLight Medical selected as 2018 Small Business of the Year! We have some exciting news to share. 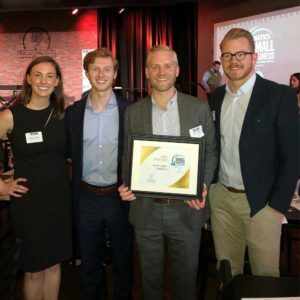 GreenLight Medical was recently selected as 2018 Small Business of the Year by the Nashville Business Journal! Part of the GreenLight crew got to attend this year’s award ceremony for an evening of engaging speakers, networking, and awards! Thank you, Nashville Business Journal, for the honor and congrats to our team’s hard work and persistence over the last year! To assemble our list of winners, we accepted nominations from the public. Nominees filled out questionnaires, and an independent panel of judges scored them, ranking everything from revenue growth, marketing strategy and overall business plan strength. The companies scoring the highest made it to this year’s winners list. GreenLight Medical is a cloud platform for hospital supply chain value analysis to regulate the introduction, evaluation, and financial impact of new medical technology. GreenLight aligns supply chain leadership, physicians, and vendors across an entire network to manage all aspects of the hospital value analysis process. For more information or to contact GreenLight Medical, visit https://www.greenlightmedical.com or (629) 888-2920.